Epic Tweet In Wrestling History 6/7/2014 - WrestleCrap - The Very Worst of Pro Wrestling! 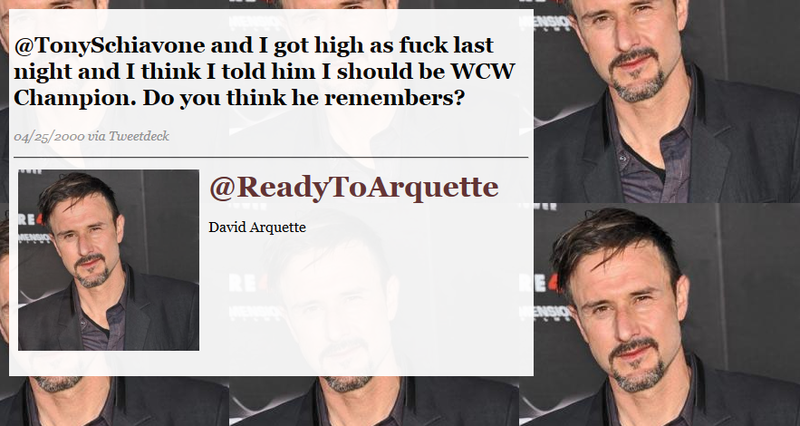 7 Responses to "Epic Tweet In Wrestling History 6/7/2014"
Ah-ha! So THAT’S how happened!!!! I meant the best day to get high was a few days earlier. All Tony remembers is that it was the biggest night in the history of professional wrestling!!!!!! The photo is too recent, but funny stuff.